What does a noise sound like? What is its shape? What is its color? Beautiful words from Ann Rand reminding us to tune in to the sounds around us—the sounds that make up our world, from the clanging and dissonant to the quiet and meditative. The crunch, crunch of buttered toast. Paul Rand uses modern and bold papercut shapes to depict the energy and sensations of these sounds. Let us remember to stop in our tracks every once in a while, engage our senses and listen to the snow and the whisper of the trees. Listen! Listen! 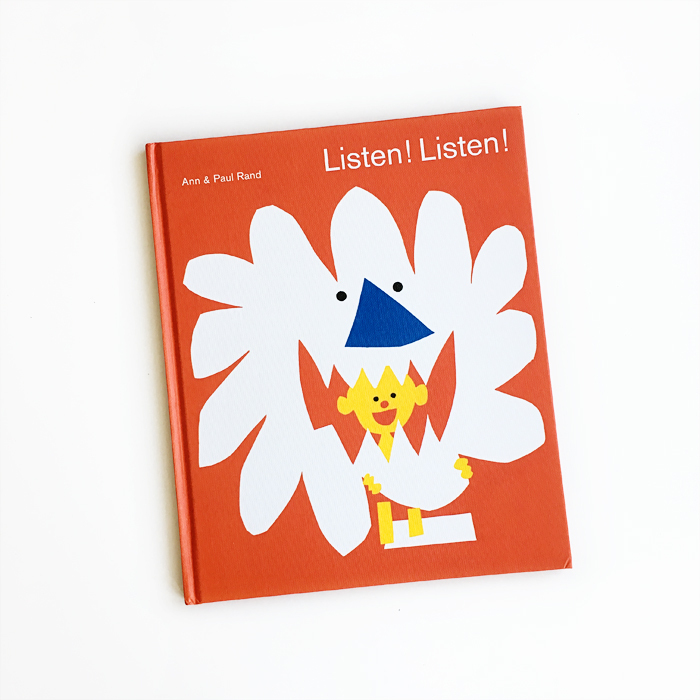 is by Ann and Paul Rand and published by Princeton Architectural Press.